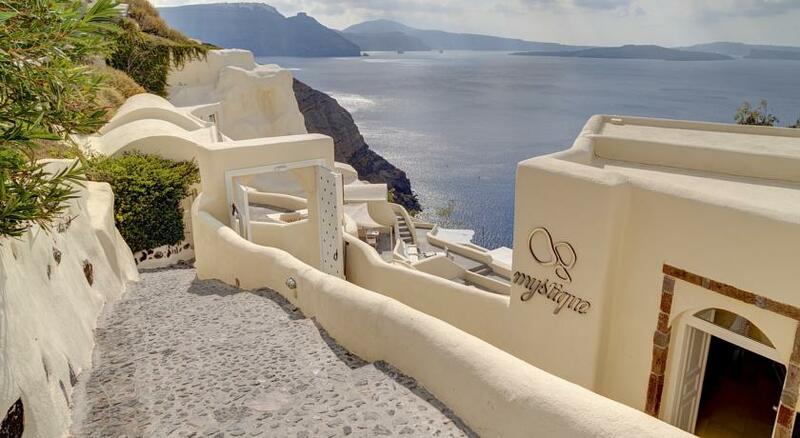 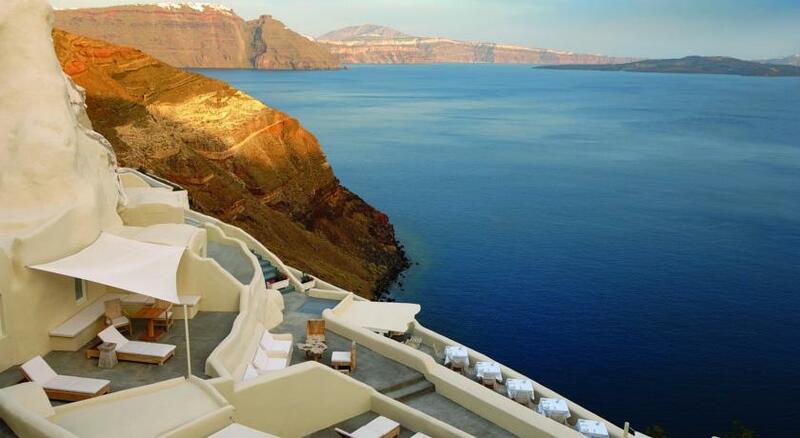 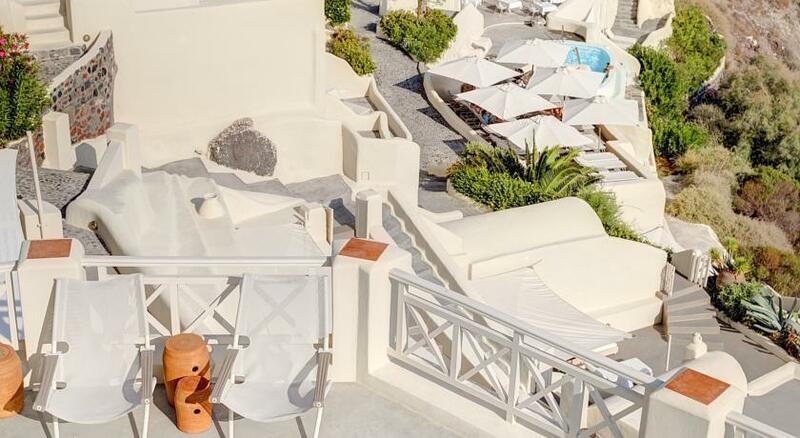 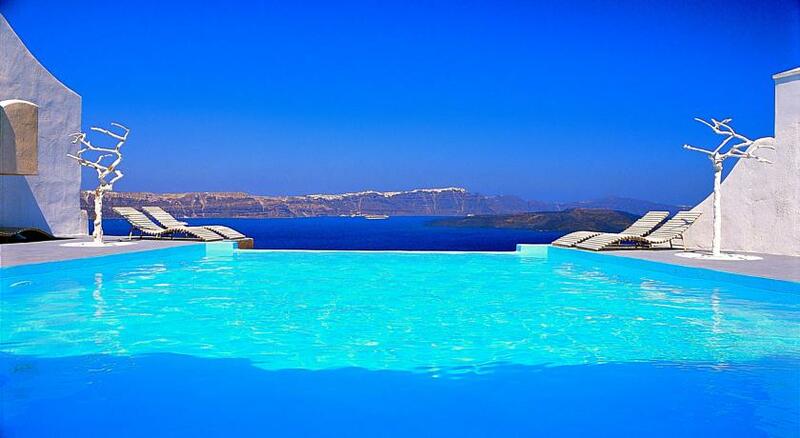 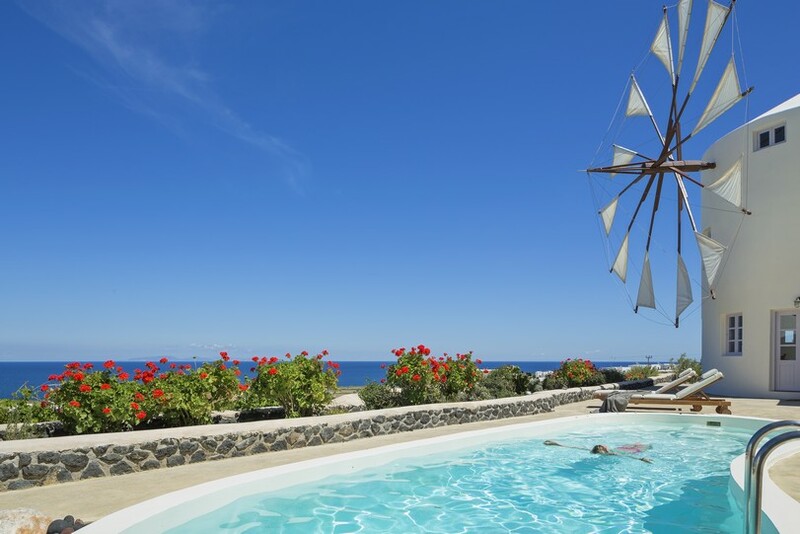 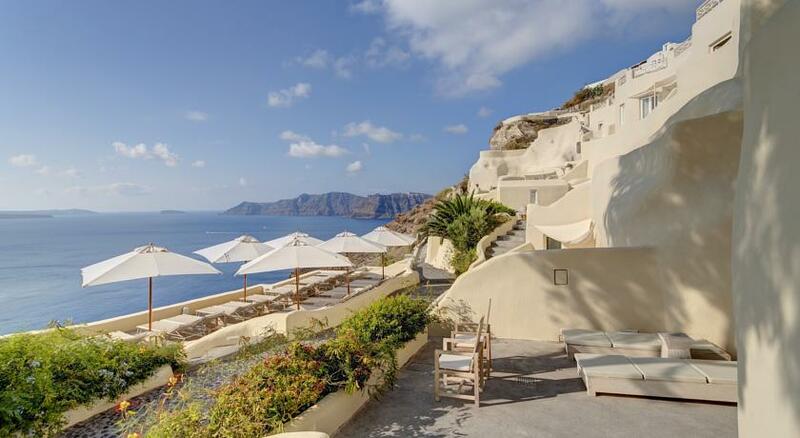 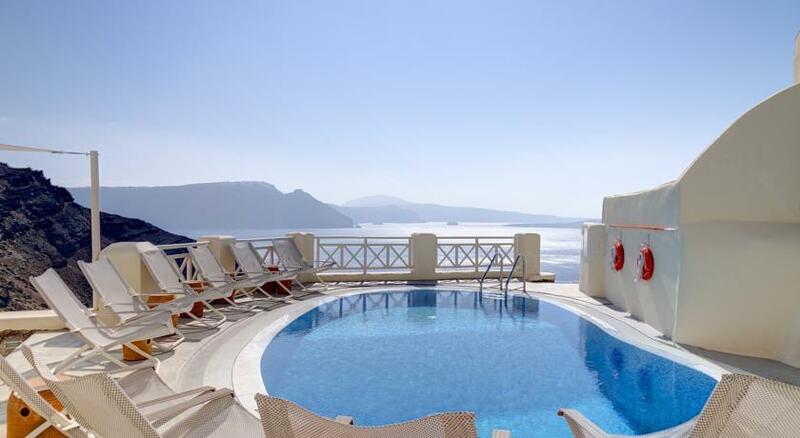 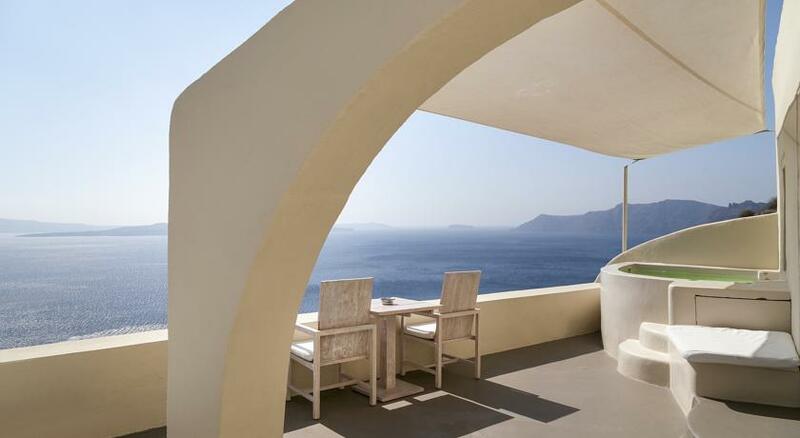 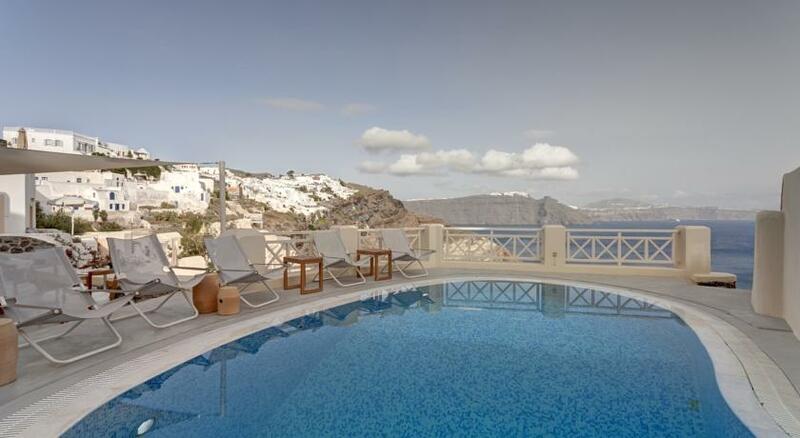 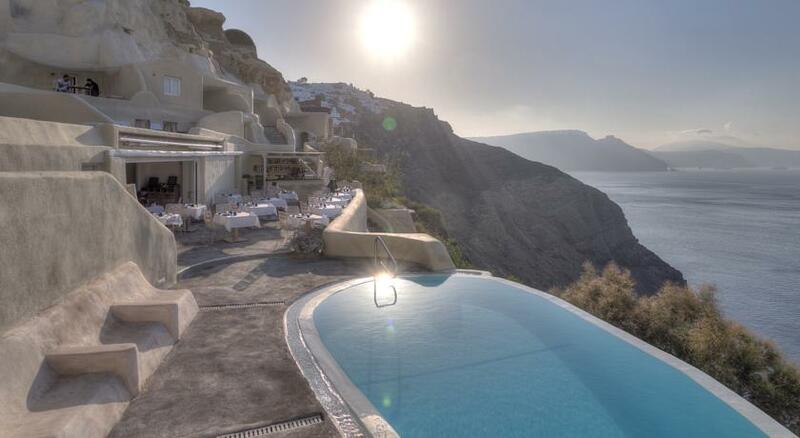 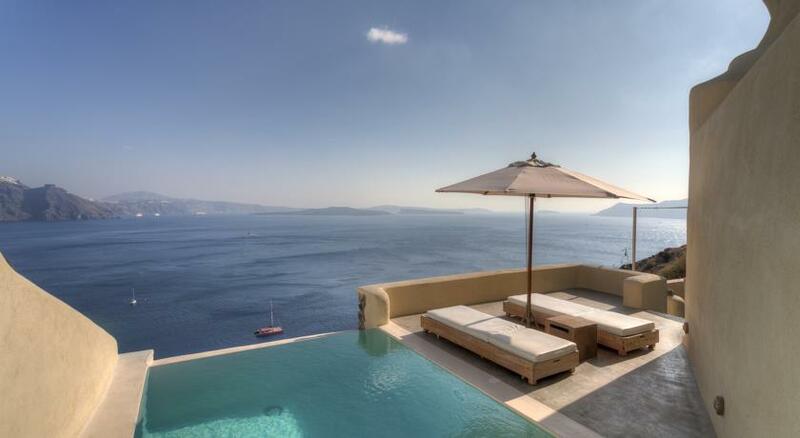 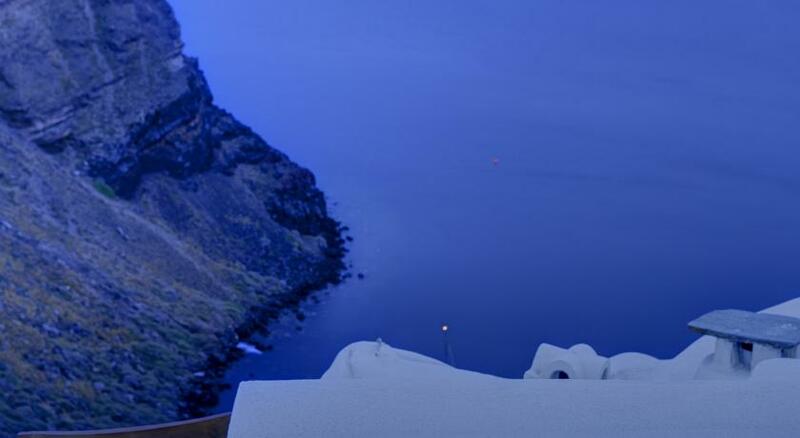 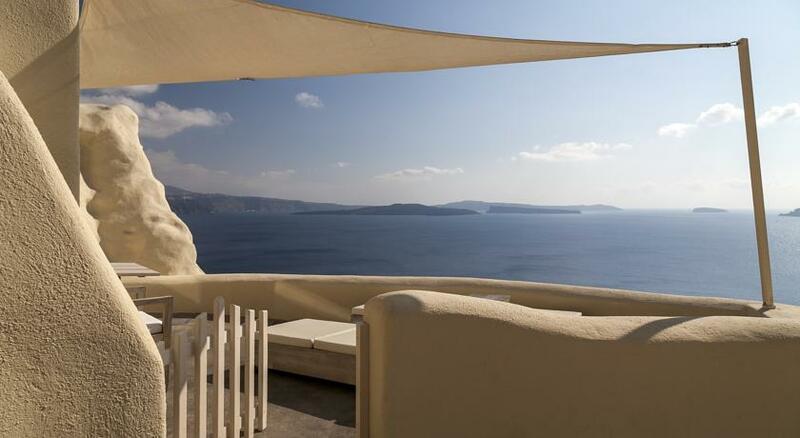 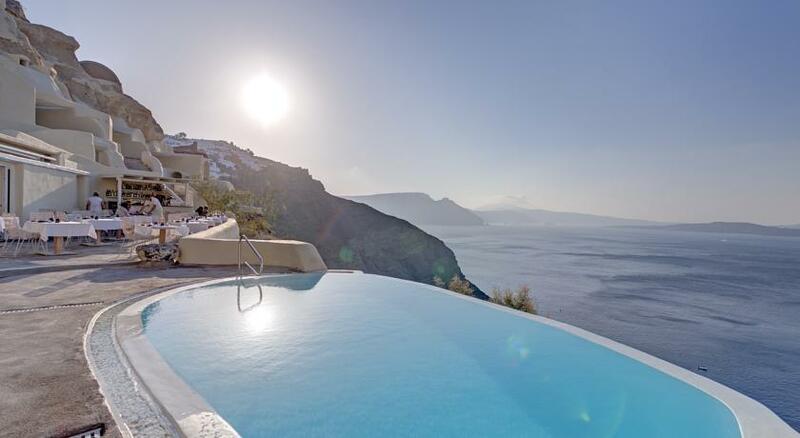 Located on Oia’s most famous cliffs, Mystique features an infinity pool with a sun deck and a bar with breathtaking views to the Volcano and the Caldera. 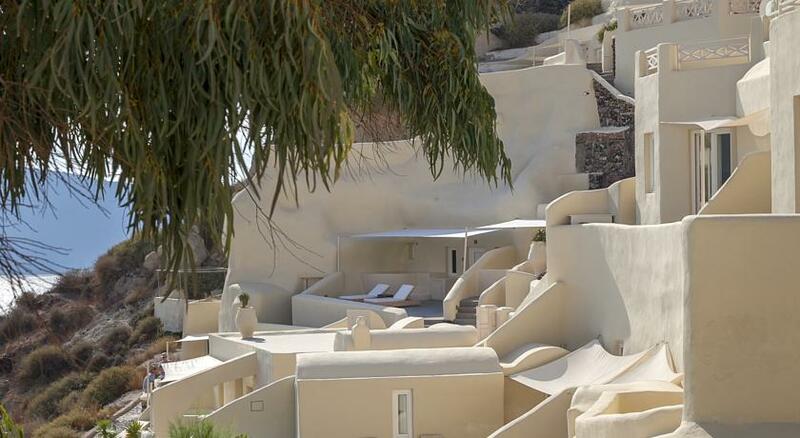 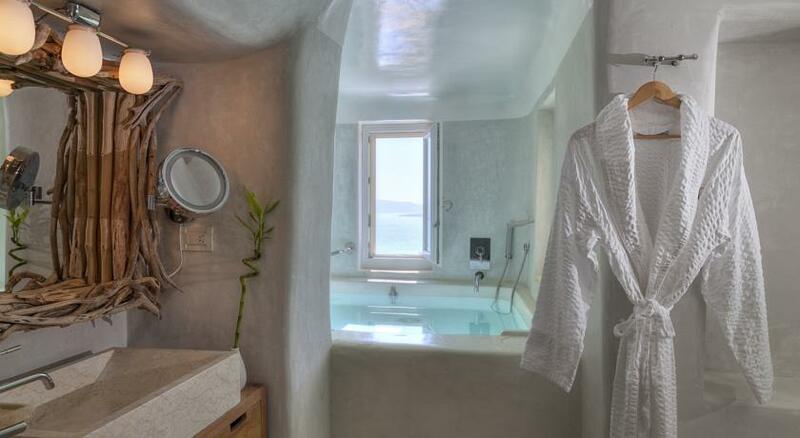 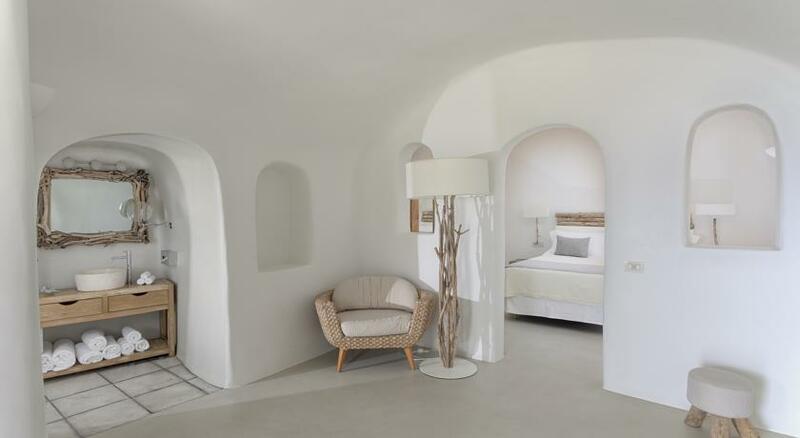 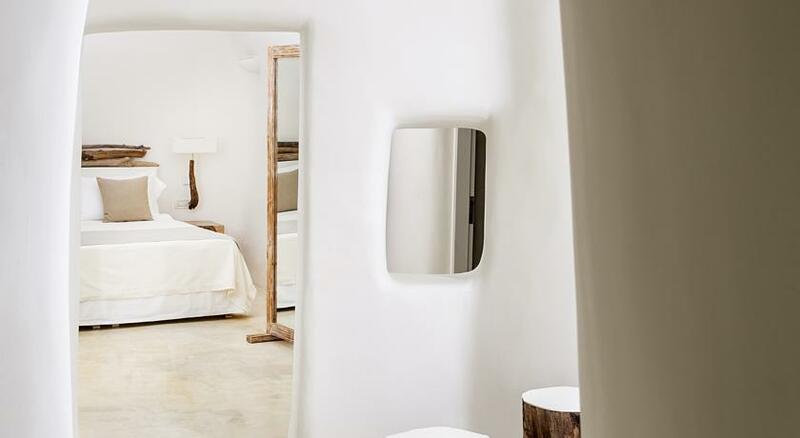 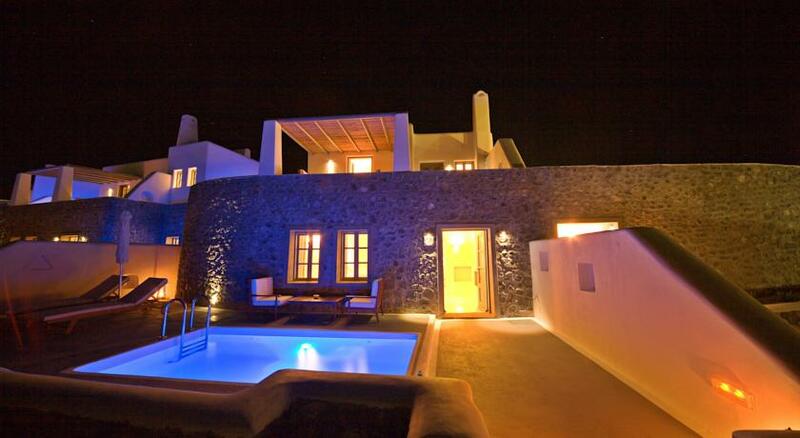 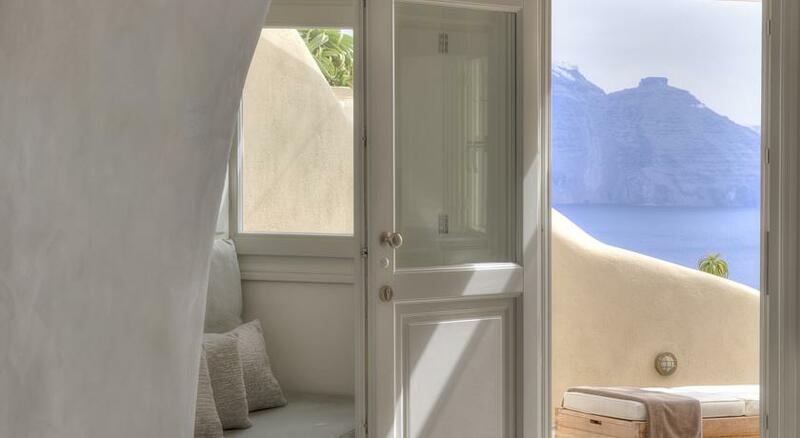 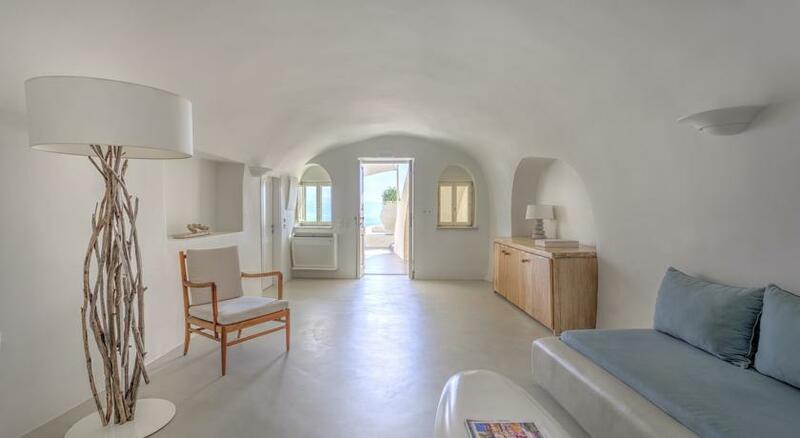 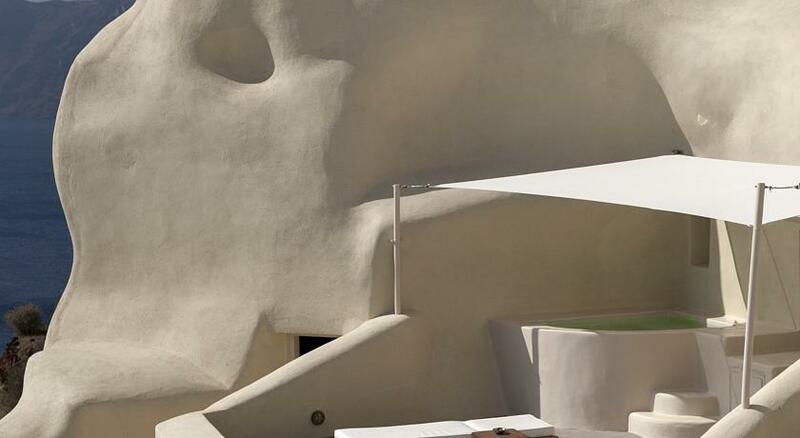 Eighteen suites and villas in a landscape of more than 2,000 square meters provide a sensorial experience of Santorini in surroundings of understated elegance… Guests may experience an outdoor infinity-edge pool, the “Aura” Pool Bar, the “Charisma” Gourmet Restaurant and the “Secret” Wine Cave. 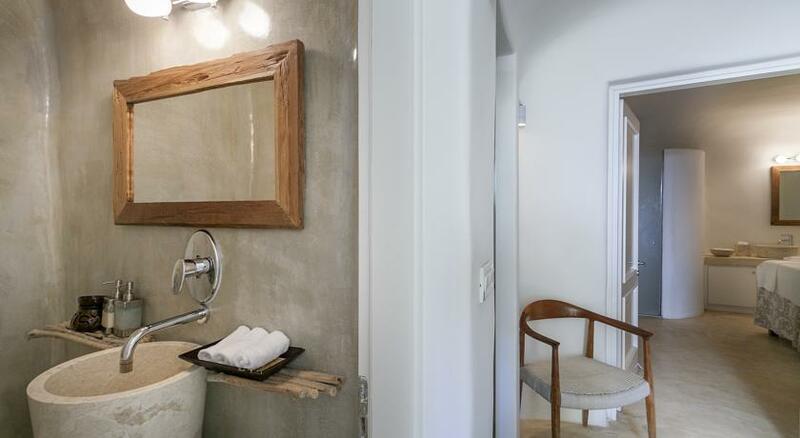 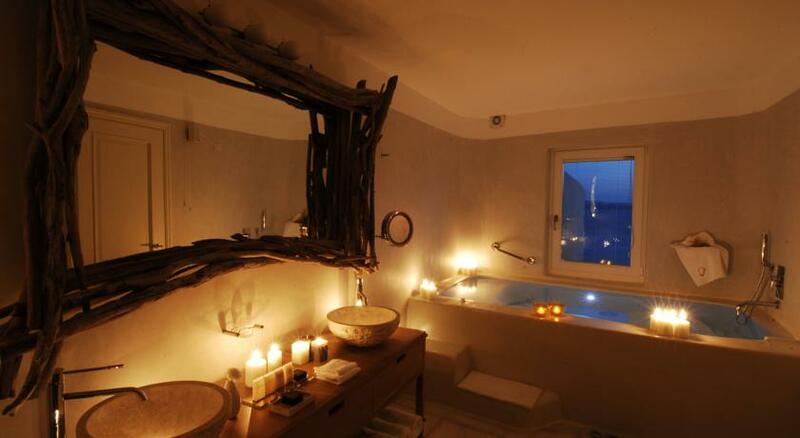 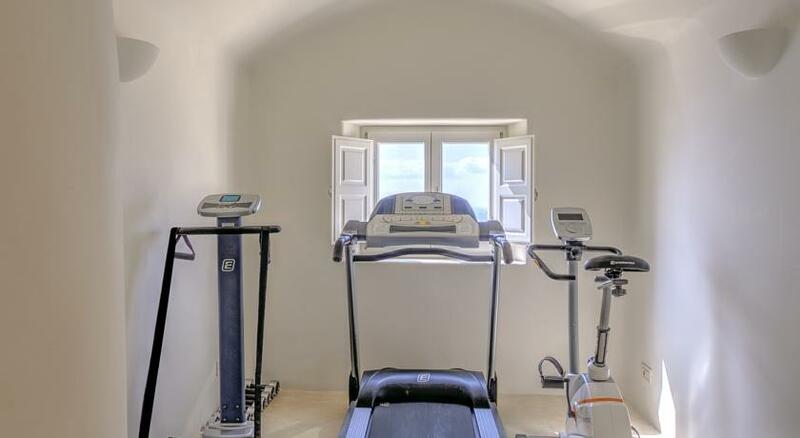 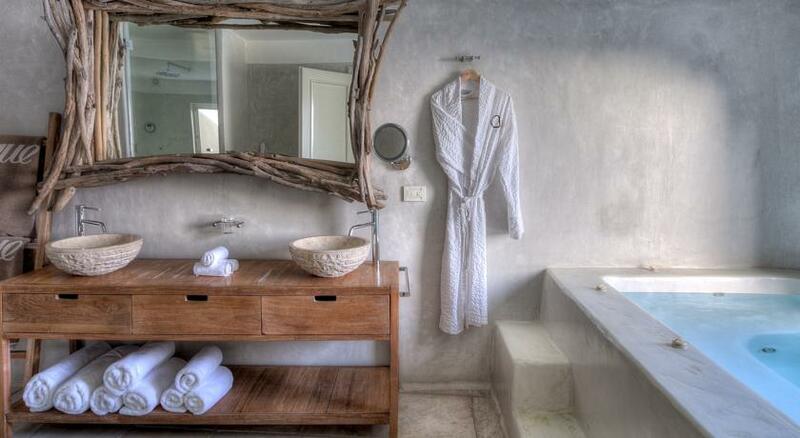 All accommodation is lovingly handcrafted from wood, local stone and glass. 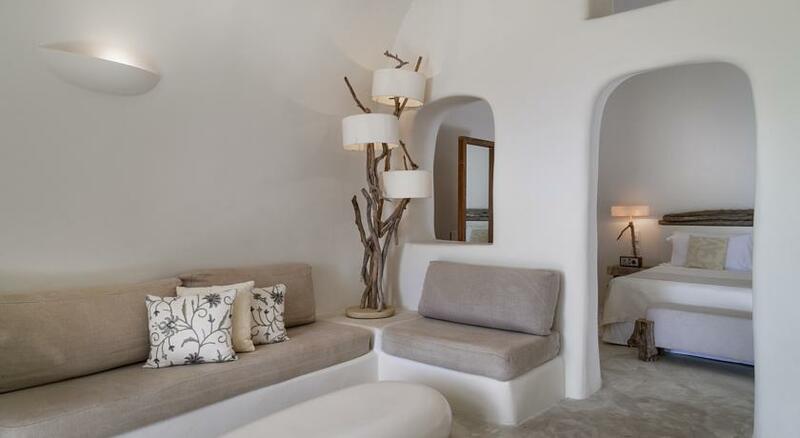 Decorated by famous interior decorator Frank Leferbvre, the stylish Mystique boasts nature-inspired design in harmony with traditional architecture and the most up-to-date technology. 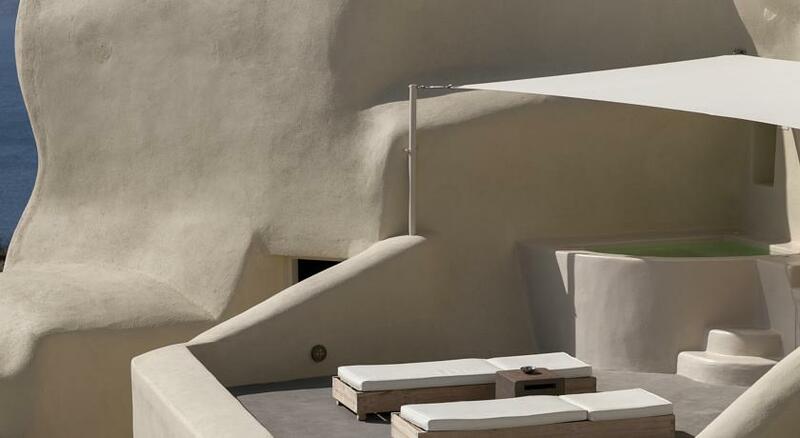 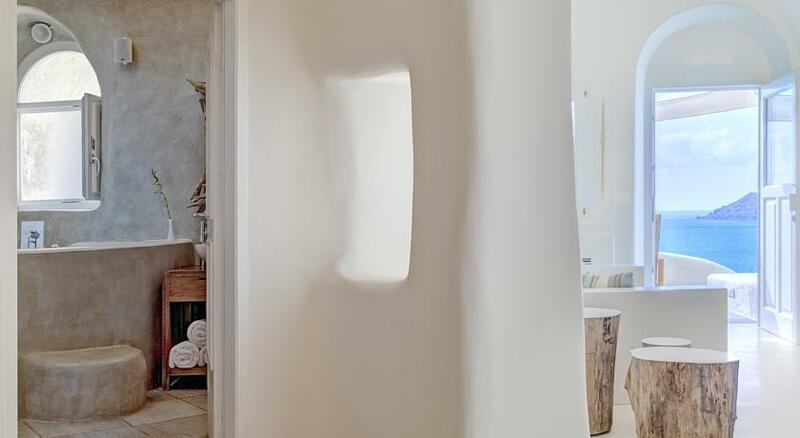 Cushions of antique textiles, plump luxurious towels and enticing patterns carved into the walls…Slatted wooden decks that lead to the plunge pool surrounded by sun beds for the utmost relaxation. 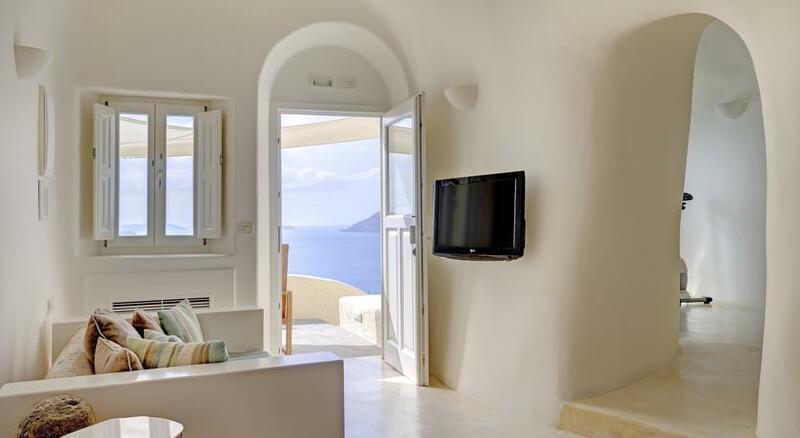 All suites open onto sea-facing terraces or balconies and are fully equipped featuring flat-screen TVs and wireless internet. 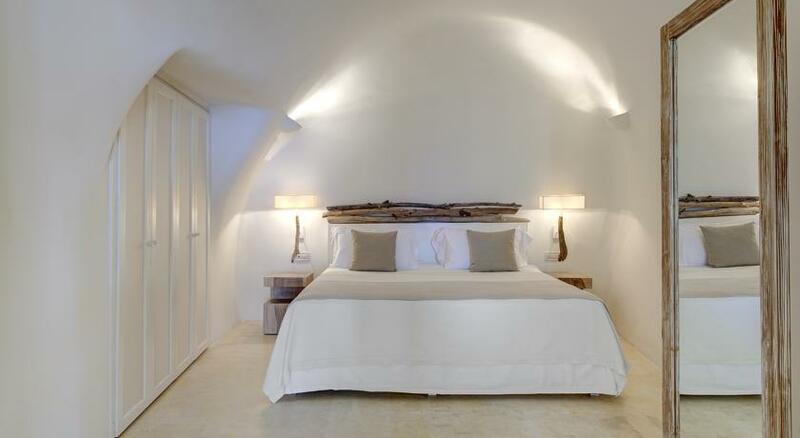 Appointed with king-sized beds all units offer luxurious comfort and space. 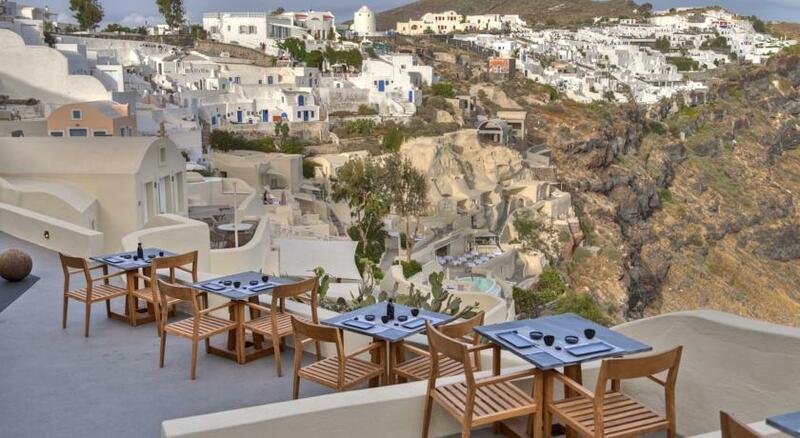 Greek breakfast is served daily in the dining area and includes Greek cheeses, traditional pancakes and filo pastries with custard cream. 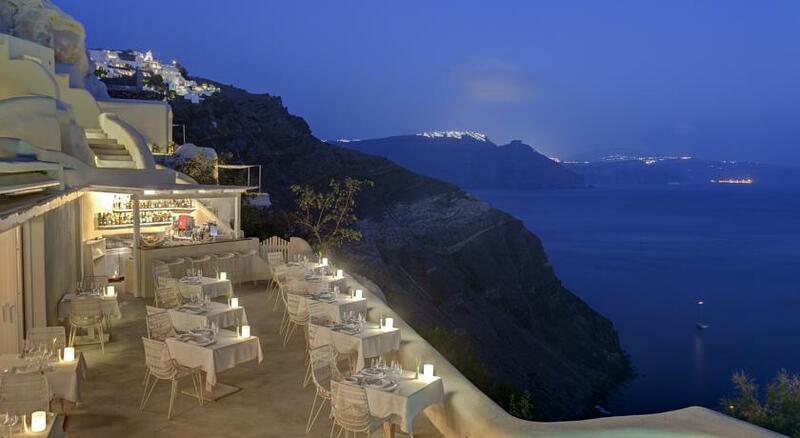 Mystique’s refined dining options range from the dramatic 150-year Secret Wine Cave to the signature Charisma Restaurant. 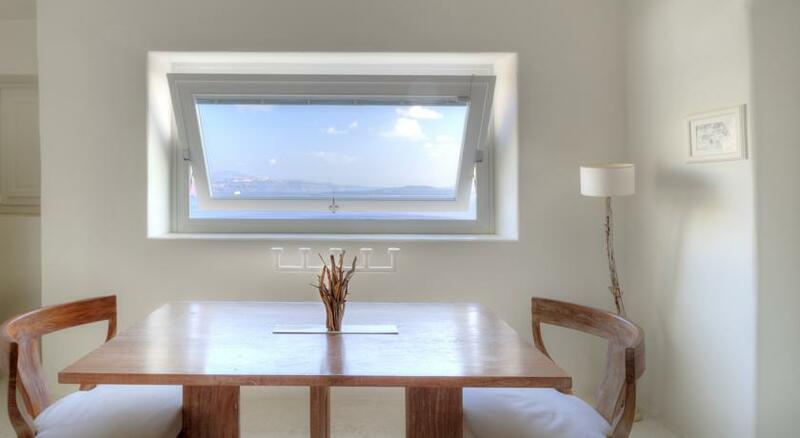 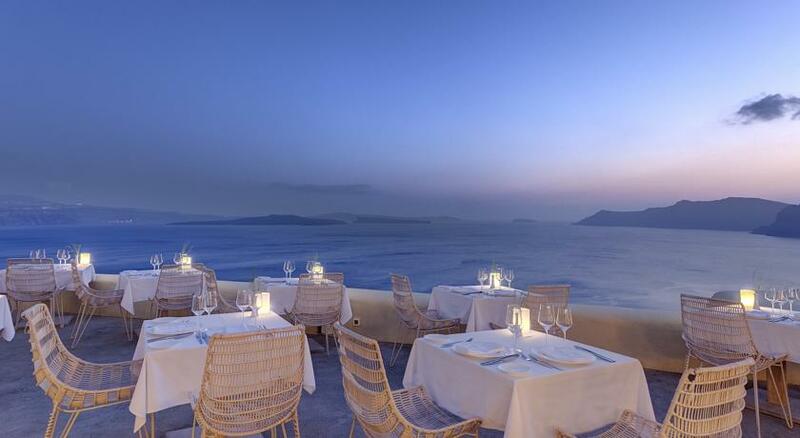 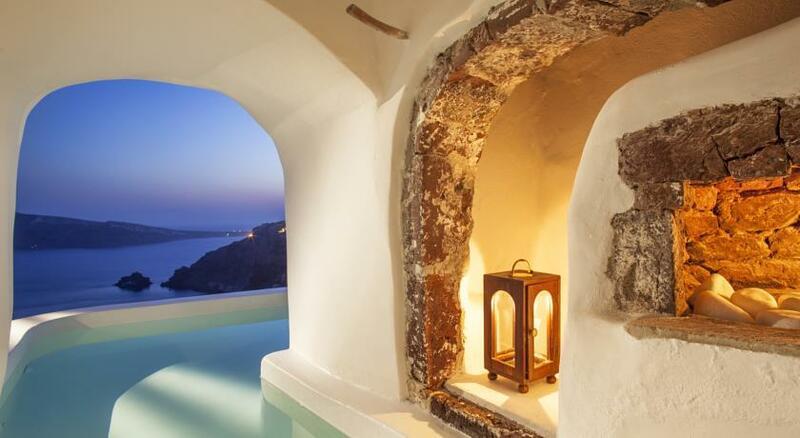 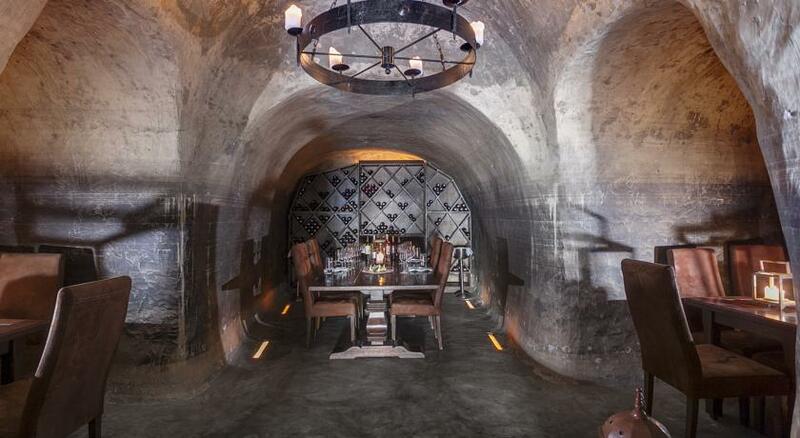 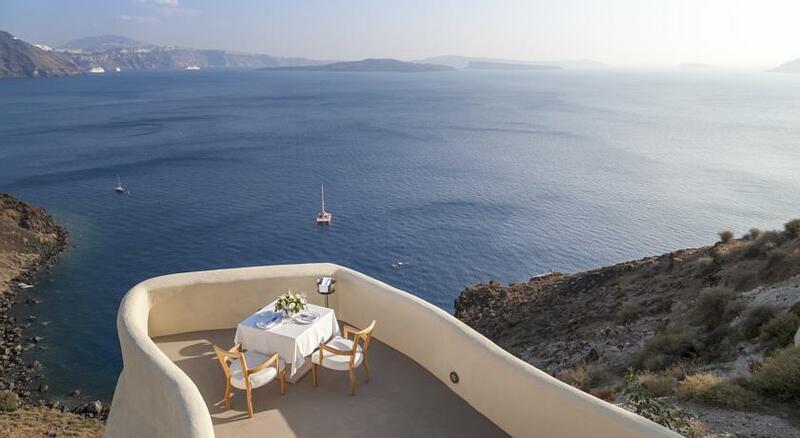 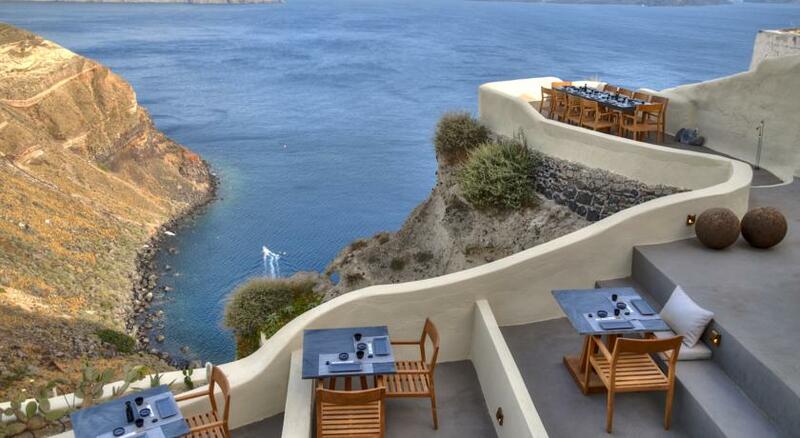 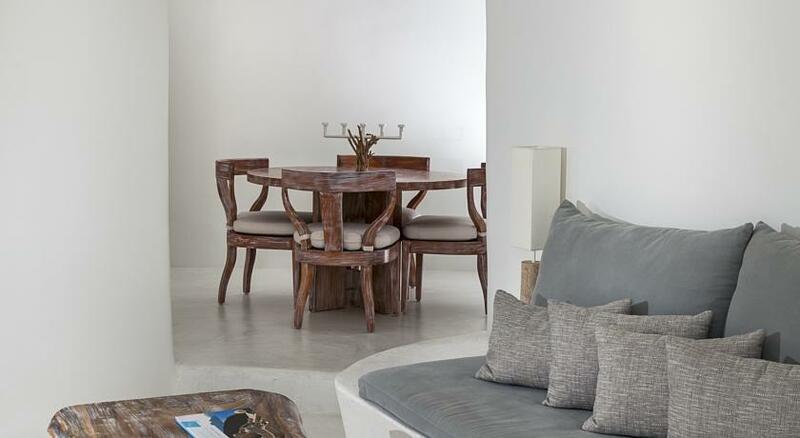 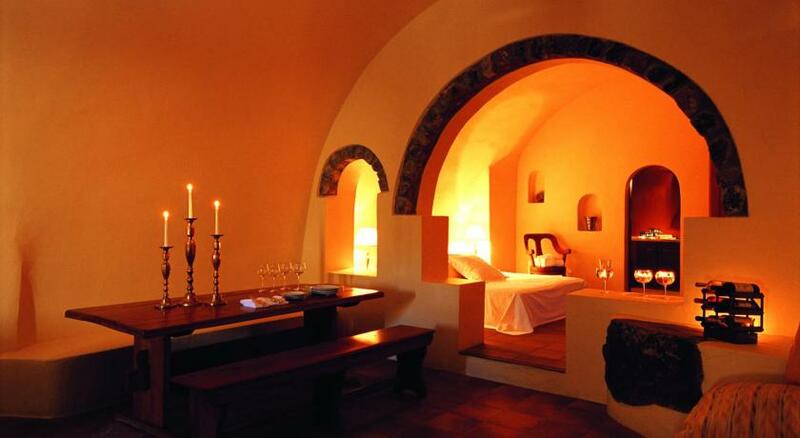 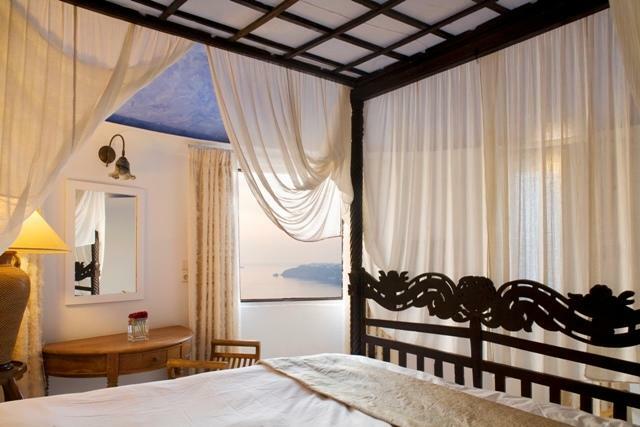 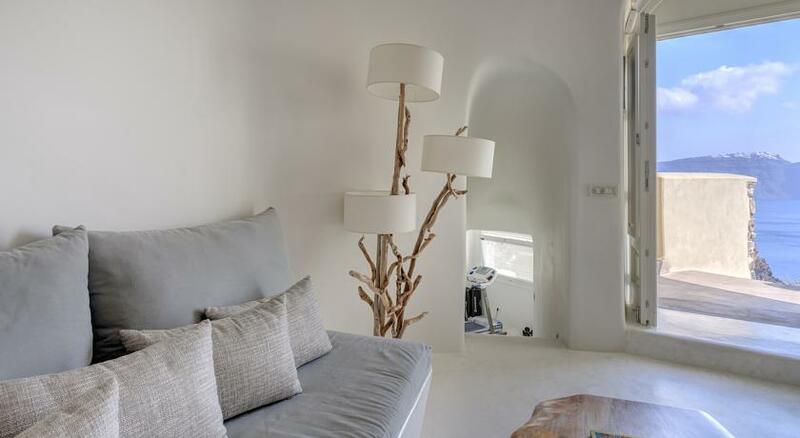 Guests can taste wine varieties from Santorini in the unique cellar and dine upon regional specialties	masterfully prepared by the awarded Chef.